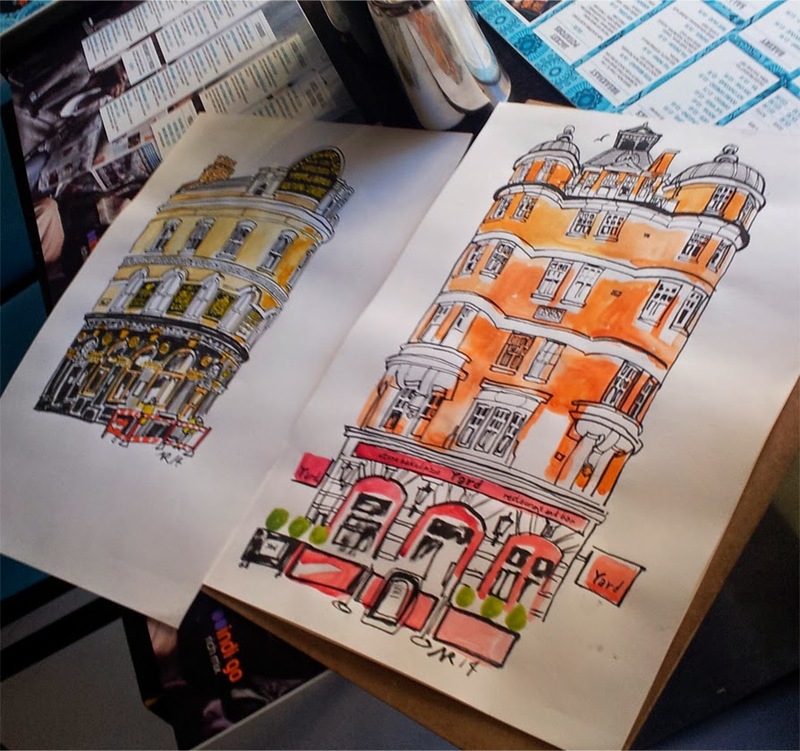 Old Street to Shoreditch Sketchcrawl photos! Thanks to everyone who came yesterday. I thought the end of May we would have been fairly safe with the weather but no - so sorry it was a bit wet and windy at times! 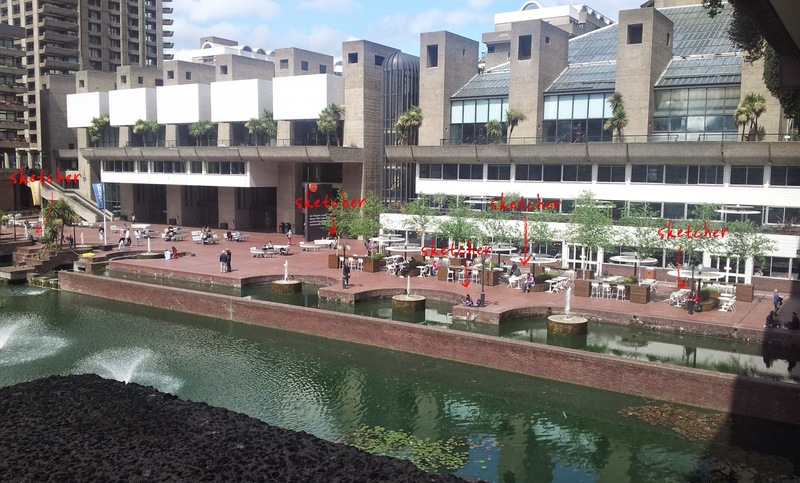 It was good to see the sun out at the Barbican at least - I spotted a fair few people from the group outside making the most of it! Check out the incredible variety of people's works on display below, and for those of you who haven't already, you can also post your sketchcrawl drawings in the Flickr group if you would like to share. 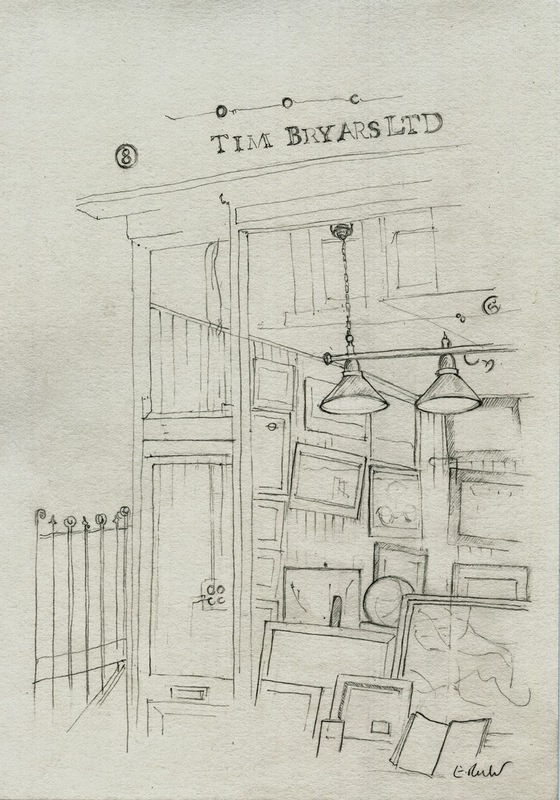 Watch out for announcements here on the blog about more drawing get-togethers for the end of June and beginning of July. 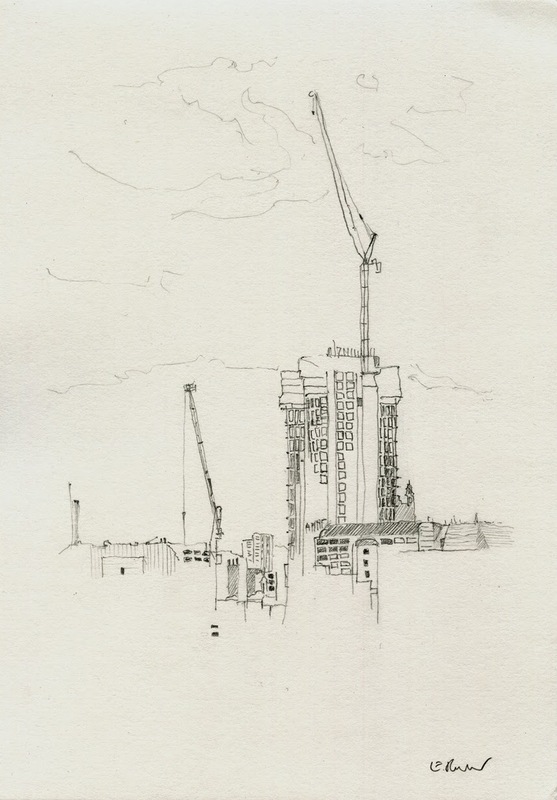 Another crane makes it onto the roof, its jib straining heavenwards as if waiting for the Second Coming. 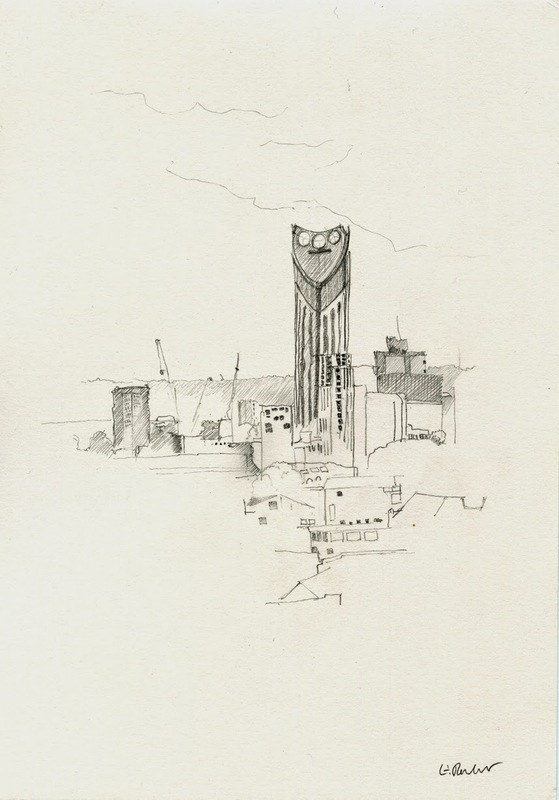 My opinion of the Strata Tower is factual and official. In 2010, it was voted 'Britain's ugliest new building' by readers of Building Design magazine. If the Pinnacle ever gets off its concrete stump, God help us all. 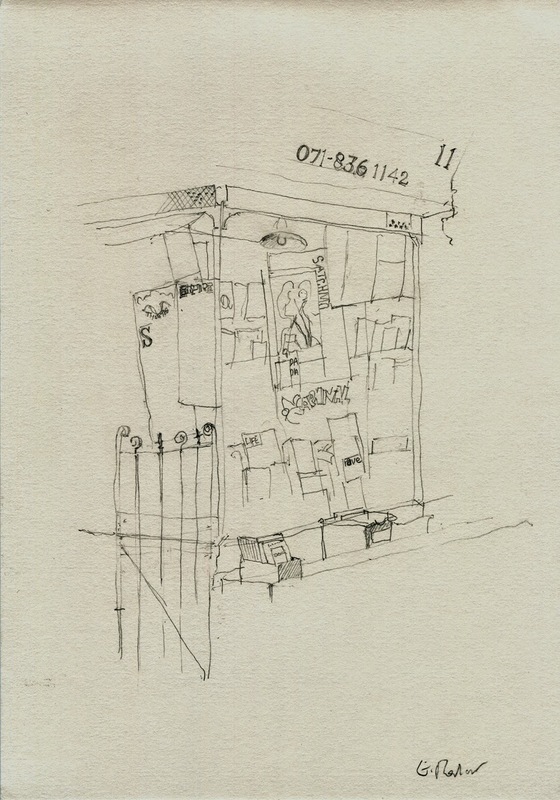 On Saturday 17 May I'll be at Cass Art art materials store in Islington, London, from 2pm to 4pm signing copies of Sketch Your World, and ready and willing to chat about drawing, urban sketching, art materials and more over a stack of sketchbooks I'll be taking with me. Bring your own sketchbooks, too, if you're OK about that. More information can be found at the Cass Art website. 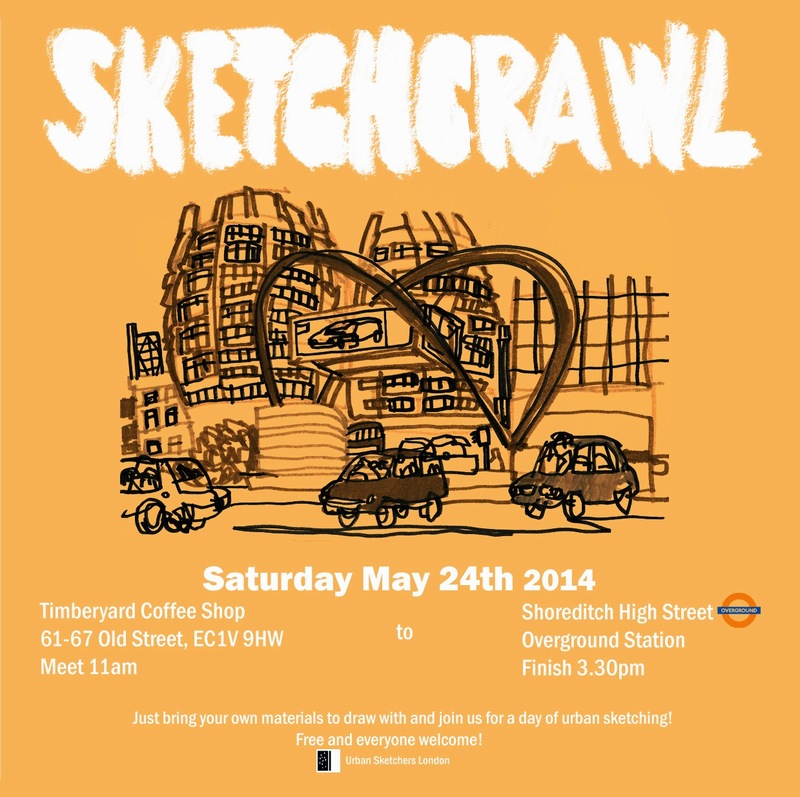 Come and join us on Saturday 24th May at 11am (downstairs) at Old Street Timberyard Coffeeshop for our next sketchcrawl. Fingers crossed for some sunshine! Pleasures of Past Times and Antiquarian Maps in Cecil Court, Charing Cross Road. I drew the top one on a last mini sketch crawl and thought I'd draw him a friend. If you don't already know Cecil Court, that is good because this narrow little street needs to be stumbled upon accidentally. Adds to the charm.